Vibrant, teal hair is a modern trend we see among many celebrities and peers today. This makes it a popular solution to those of us looking to freshen up our own hairstyle, and Manic Panic Enchanted Forest may be the answer to our search for a product that will give us the long-lasting, easily achieved, quality-guaranteed results we want. In the following article, we will look at what Manic Panic Enchanted Forest is, including how to apply the color and maintain it, what makes it stand out as a solution to achieving vibrant, healthy hair, and how it rates compared to the competition. Does Manic Panic Enchanted Forest offer the quality, ease, and longevity we need from a semi-permanent hair color? That is exactly what we will find out. What is the Manic Panic Enchanted Forest? Manic Panic Enchanted Forest is a teal green semi-permanent hair color. Manic Panic semi-permanent hair colors achieve vibrant color results on blonde or pre-lightened hair. We can also use Enchanted Forest and other dark semi-permanent hair colors to highlight darker hair shades. Tish and Snooky, co-owners and co-founders of Manic Panic, started out over 35 years ago in 1977 as pioneers of Punk, selling hair color, cosmetics, and even clothing out of one of America's first punk boutiques in New York City. To this day, Tish and Snooky continue to use and test Manic Panic vibrant semi-permanent hair colors on their own hair. Manic Panic also prides itself on listening and responding to customer feedback and aims to start trends rather than follow them. Red Passion Classic Creme, Cotton Candy Classic Creme, and Hot Hot Pink Classic Creme are just a few of the Manic Panic semi-permanent hair colors we have spotted on many celebrities over the years, including Cindy Lauper, Rihanna, Lady Gaga, Katy Perry, Cardi B, Jared Leto, Jake Gyllenhaal, Kim Kardashian, and her younger sister, Kylie Jenner. Applying Manic Panic semi-permanent hair colors is easy and not unlike the process for most vibrant hair dyes, but there are a few things we should know. To use Manic Panic Enchanted Forest, we need to pre-lighten hair to a level 7 or 8. Manic Panic recommends using their Amplified Flash Lightning bleach kit to achieve the desired level of pre-lightening. Before applying the color, we need to perform a patch test to check for potential irritation. If irritation occurs, we must not continue to use the product. Second, a strand test is recommended on a small portion of hair to ensure the hair color result will be satisfactory. Everybody's hair is slightly different, and the shade of hair can vary from one portion of our head to another. The strand test provides us with an example of what we can expect once we have applied the color to our whole head. Obviously, the more evenly we bleach our hair before application, the more even the final result will be. To begin the application, we first separate hair into small sections and work the color in from root to tip for each section before moving onto the next one. We use our fingers or a brush to work the color in until it lathers and appears evenly applied. As with any vibrant hair color product, we always risk a messy application. Therefore, we stress the use of plastic gloves and using petroleum jelly to coat the areas around your hairline to avoid undesired stains. We leave the color in for at least 30 minutes and up to two hours, or even overnight. We recommend using a plastic cap to cover hair while it sits and absorbs the hair color. We then rinse our hair thoroughly with cold water. 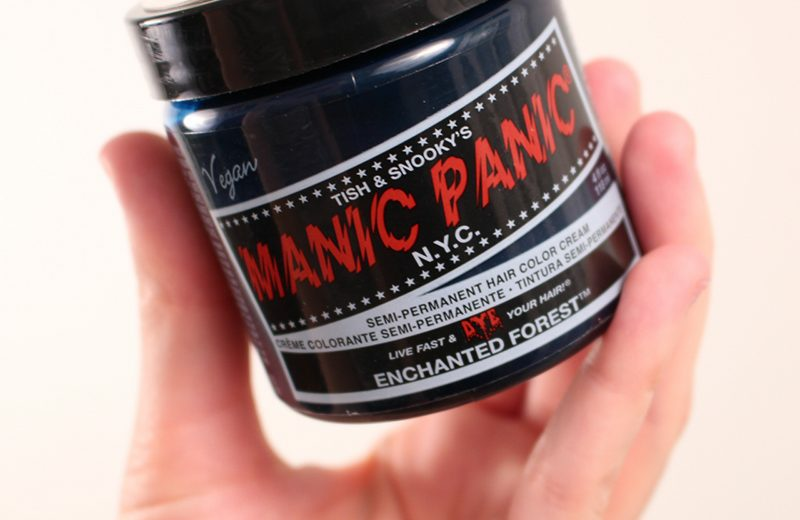 Like many of Manic Panic's offerings, Enchanted Forest semi-permanent hair color lasts between 4 and 6 weeks. To avoid a rapid fade in color, we should avoid using hair products that are harsh (such as anti-dandruff or deep-cleansing shampoos) or contain alcohol, swimming in chlorinated water, and exposing our hair to excessive sunlight or heat. What makes Manic Panic hair colors unique, including Enchanted Forest, is the fortified herbal and protein complex that hydrates and conditions hair to restore it rather than damage it during the coloring process. It also has a sweet smell that users find very appealing. Manic Panic colors also contain no animal by-products or animal testing. In fact, Manic Panic semi-permanent hair colors have been vegan and cruelty-free since their beginning in 1977, and 15 percent of Manic Panic's profits support a variety of charities annually. Manic Panic guarantees their products are the best out there and their staff continually test the quality of their hair color products on themselves. PETA (People for the Ethical Treatment of Animals) accredits Manic Panic hair color as both vegan and cruelty-free. Manic Panic's Enchanted Forest results in a deep teal green, similar to what we have seen on certain celebrities, including Kylie Jenner. 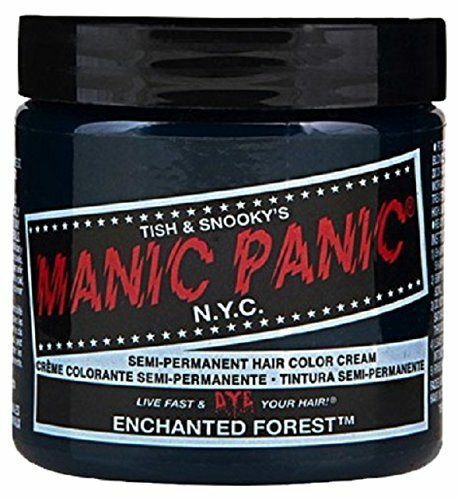 Aside from Enchanted Forest, Manic Panic offers a variety of vibrant colors, with 47 different hues available in their classic cream series alone. We can then mix any of these hues with the Manic Panic Pastel-izer diluter to achieve a variety of shades for the perfect look. Next, let’s talk about pricing and availability. We can purchase Manic Panic Enchanted Forest in a 4 fluid ounce container for approximately $13.99. Availability is fairly widespread. We can find Manic Panic hair colors available for purchase at most Walmart stores, Shoppers Drug Mart, on the Manic Panic website, and through Amazon. We will explore how the price and availability of Manic Panic Enchanted Forest compared to other similarly popular brands in the next section. We picked three similar products available on the market to see how they compare with Manic Panic Enchanted Forest. We note that as part of the application process, all four brands recommend performing a patch test and strand test before full application. All four products below also recommend wearing plastic gloves throughout the application process, and to apply petroleum jelly or a similar product around the hairline, ears, and neck to protect the skin from stains. 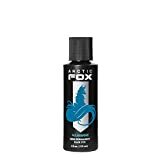 The three other products we will compare with Manic Panic Enchanted Forest are Arctic Fox, Punky Colour, and Joico Intensity. In each case, we will look at how these products rate in terms of ease of use, the time to process the color once we have applied it, the quality of the product's design, and whether the brand offers a guarantee of the product's quality or not. We will begin our comparison with a rating of Manic Panic Enchanted Forest and a review of its pros and cons. In Stock" Ships Within 24 Hours! Next, we have Arctic Fox. The design of Arctic Fox semi-permanent hair colors caters to vibrant hair enthusiasts and animal cruelty advocates alike. We will also point out that Arctic Fox colors, unlike many other vibrant hair colors, fade within their original color spectrum, making for gorgeous tones even as fading occurs. Arctic Fox hair colors come in containers of 4 fluid ounces for a price tag of approximately $7.99 each. We find these products sold at Hot Topic locations, select salons, and on Amazon. While we commend Arctic Fox for long-lasting color, we find no quality guarantee from their company, which is something Manic Panic provides with Enchanted Forest. Jerome Russell Punky Colour is a semi-permanent conditioning hair color that contains high-quality ingredients and creates outrageously vibrant colors on chemically-treated or bleached hair. We can purchase Punky Colour semi-permanent conditioning hair color at Ulta Beauty store locations, the Ulta Beauty website, and through Amazon. Ulta typically sells Punky Colour in 3.5 fluid ounce containers for about $7.99 each. 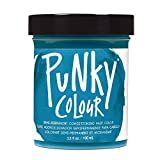 We find no quality guarantee from Punky Colour for their product, and also note that unlike Manic Panic Enchanted Forest and Arctic Fox, Punky Colour does not promote their product as vegan. Joico Color Intensity hair colors are crafted with hair in mind. 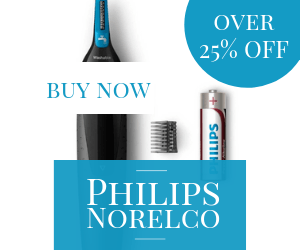 The company aims to return hair to its healthiest, most joyful state after only one use of its products. Joico Color Intensity boasts an over-the-top vibrancy that will last through 15 washes. Joico comes at a higher price than Enchanted Forest, and the instructions for application seem slightly more complicated to follow, with variations for different shades and hues of their product. We also find no quality guarantee for their product. Approximately 14.97 for 4 oz. Using a 5-star rating system and based on the comparison information above, we rate Manic Panic Enchanted Forest at 4.5 stars. This product offers superior quality in design, ease of application, and attention to the needs and concerns of their customers. The four products we compared above are all quality products that boast vibrant results, but where Manic Panic Enchanted Forest stands out is in its guaranteed satisfaction, time-tested quality, and its restorative nature. The creators of Manic Panic take care of testing their product on their own heads to ensure that we get the best results possible. Manic Panic Enchanted Forest is no exception to that. We cannot help noticing that Manic Panic reaches a wide market and that their product addresses many concerns that consumers today deem important. Manic Panic's semi-permanent hair colors are PETA accredited vegan and cruelty-free, use an herbal and protein complex to improve the condition of our hair and offer long-lasting color that may save us money in the long term. So, If we want to spend a little more money for guaranteed quality and a product that does more good than harm to both our hair and our environment, and that gives us the quality, ease, and longevity we are looking for, the deep green of Manic Panic Enchanted Forest will not disappoint.